This card is very simple. I used the Petite Petals flower punch and the new Itty Bitty Accents Punch pack. I also used the new stamp set called “Something to Say”. Shop the new catalog here! 1. Cut half a sheet of Crumb Cake card stock. Fold in half to make the card base. Cut a 5-1/4″ x 4″ Whisper White rectangle. 2. 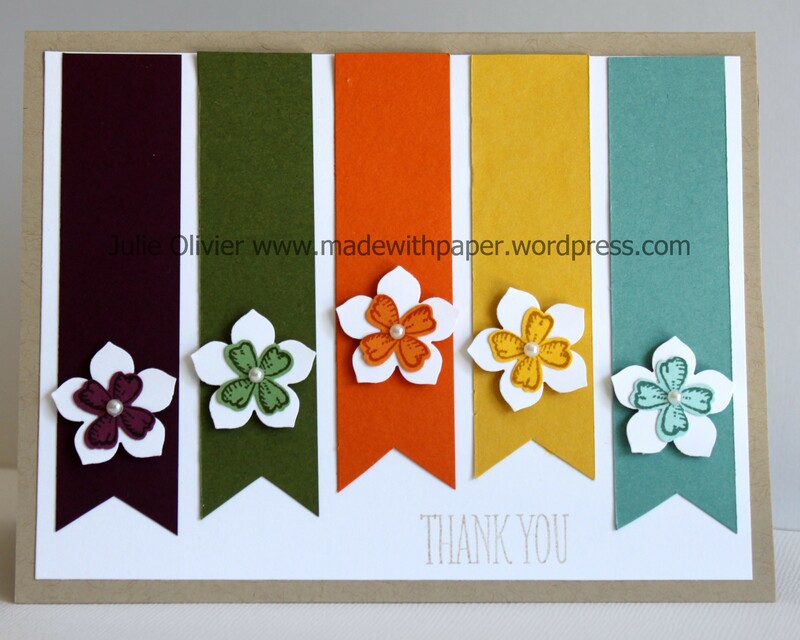 Cut a five 3.5″ x 7/8″ strips in Blackberry Bliss, Hello Honey, Lost Lagoon, Mossy Meadow and Tangelo Twist card stock. Cut a flag shape at the bottom. Adjust the length of each so they are not all the same. Adhere in place on the Whisper White card stock. 3. Cut 5 Whisper White flowers with the Petite Petals punch. Stamp a smaller flower (from Something to Say stamp set) with Black berry Bliss ink on Rich Razzleberry card stock. Repeat with Mossy Meadow ink on Wild Wasabi card stock, Tangelo Twist ink on Pumpkin Pie CS, Hello Honey ink on Daffodil Delight CS and Lost Lagoon ink on Pool Party card stock. Adhere on each White flower. Add a small pearl in the center. Adhere on the card with dimensionals. 4. 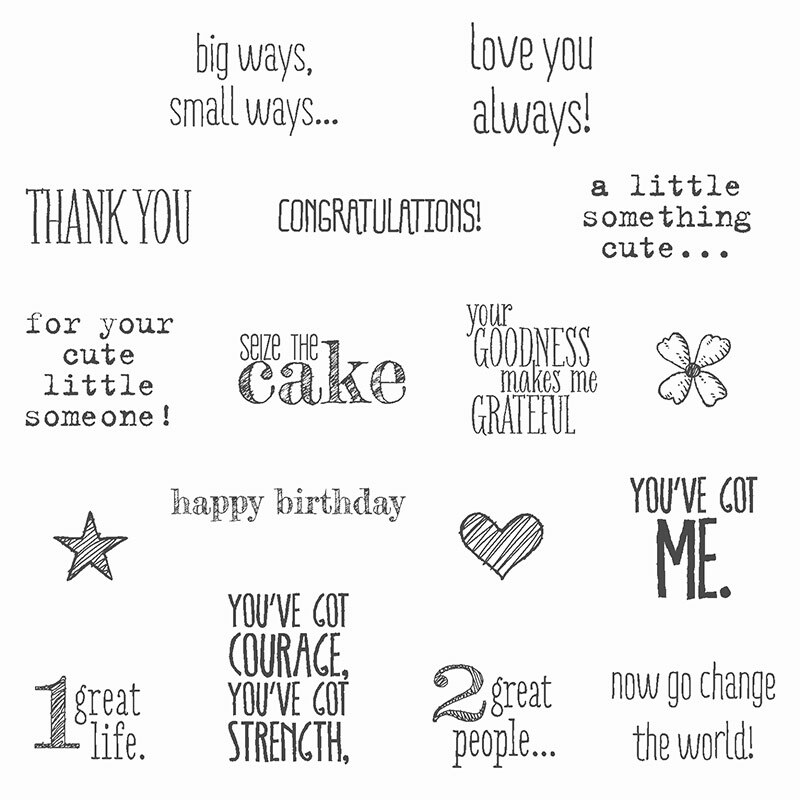 Stamp “Thank you” in Crumb Cake ink at the bottom. Adhere the card Front on the card base.